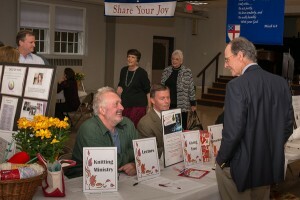 Service is at the core of our life together at Christ Church: Service to one another in creating our worship and in our shared pastoral care for one another, service to our children and youth in our educational programs, service to future generations in our care for our buildings and property. Service to the local community through many organized ministries. Service nationally through our youth group mission trips and service internationally through our partnership in Haiti. And all of this service, individual and corporate, is service to God. So we encourage you to get involved! It’s a great way to get to know people, become an integral part of Christ Church, and make a real difference in various communities.